Channel design standard duty lifting beam. Load tested to ASME standards. 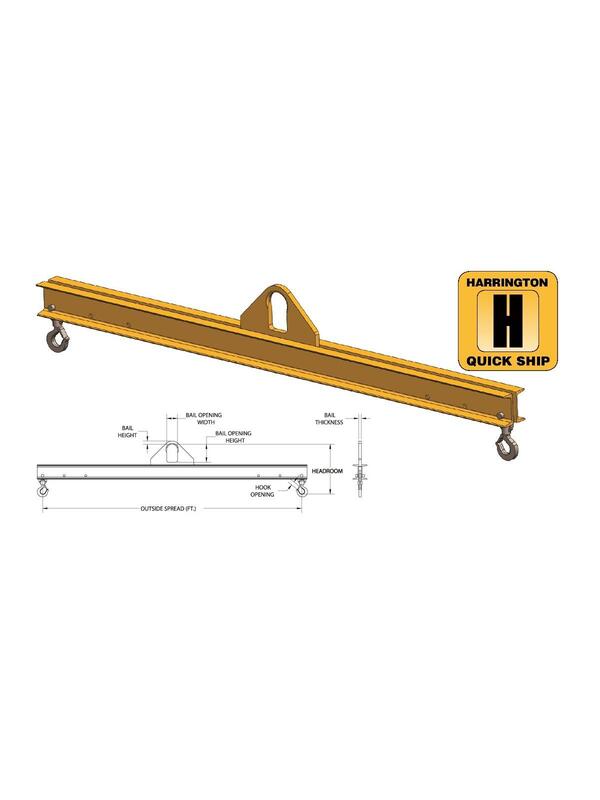 This style of lifting beam can be utilized where headroom is limited and comes with a pair of swivel hooks and three standard spreads (3' and 4' beams have two standard spreads). Three standard lift points for load adjustment: outside lift point, middle lift point (outside less 1'), inside lift point (middle less 1'). 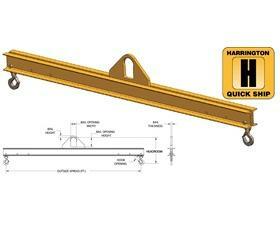 Engineered and manufactured to ASME B30.20 & BTH-1 Design Category B Service Class 2. "Quick Ship" items are available in 10 days. Call for other available capacities. FOB Shipping Point. * 1 US Ton = 2,000 lbs.